ACT Tutors needed for during the daytime, after school hours and weekend hours in the Northwest suburbs. Minimum of a Bachelor’s degree and 1+ years of teaching/tutoring experience required. Please send current resume and application to sarah@iachievelearning.com. Biology Tutors needed for during the daytime, after school hours and weekend hours in the Northwest suburbs. Minimum of a Bachelor’s degree and 1+ years of teaching/tutoring experience required. Please send current resume and application to sarah@iachievelearning.com. Geometry Tutors needed for during the daytime, after school hours and weekend hours in the Northwest suburbs. Minimum of a Bachelor’s degree and 1+ years of teaching/tutoring experience required. Please send current resume and application to sarah@iachievelearning.com. Calculus Tutors needed for during the daytime, after school hours and weekend hours in the Northwest suburbs. Minimum of a Bachelor’s degree and 1+ years of teaching/tutoring experience required. Please send current resume and application to sarah@iachievelearning.com. Chemistry Tutors needed for during the daytime, after school hours and weekend hours in the Northwest suburbs. Minimum of a Bachelor’s degree and 1+ years of teaching/tutoring experience required. Please send current resume and application to sarah@iachievelearning.com. Early Learning Tutors needed for students ages 3-5 for during the daytime, after school hours and weekends in the Northwest suburbs. Minimum of a Bachelor’s degree and 1+ years of teaching/tutoring experience required. Please send current resume and application to sarah@iachievelearning.com. Elementary Education Tutors needed for all subjects for after school hours and weekend hours in the Northwest suburbs. Minimum of a Bachelor’s degree and 1+ years of teaching/tutoring experience required. Please send current resume and application to sarah@iachievelearning.com. History/Government Tutors needed for during the daytime, after school hours and weekend hours in the Northwest suburbs. Minimum of a Bachelor’s degree and 1+ years of teaching/tutoring experience required. Please send current resume and application to sarah@iachievelearning.com. Italian Tutors needed for during the daytime, after school hours and weekend hours in the Northwest suburbs. Minimum of a Bachelor’s degree and 1+ years of teaching/tutoring experience required. Please send current resume and application to sarah@iachievelearning.com. Physics Tutors needed for during the daytime, after school hours and weekend hours in the Northwest suburbs. Minimum of a Bachelor’s degree and 1+ years of teaching/tutoring experience required. Please send current resume and application to sarah@iachievelearning.com. Precalculus Tutors needed for during the daytime, after school hours and weekend hours in the Northwest suburbs. Minimum of a Bachelor’s degree and 1+ years of teaching/tutoring experience required. Please send current resume and application to sarah@iachievelearning.com. SAT Tutors needed for during the daytime, after school hours and weekend hours in the Northwest suburbs. Minimum of a Bachelor’s degree and 1+ years of teaching/tutoring experience required. Please send current resume and application to sarah@iachievelearning.com. Special Education Certified Tutors needed for during the daytime, after school hours and weekend hours in the Northwest suburbs. Minimum of a Bachelor’s degree and 1+ years of teaching/tutoring experience required. Please send current resume and application to sarah@iachievelearning.com. Your Special Education Certificate is required. Statistics Tutors needed for during the daytime, after school hours and weekend hours in the Northwest suburbs. Minimum of a Bachelor’s degree and 1+ years of teaching/tutoring experience required. Please send current resume and application to sarah@iachievelearning.com. Bass Instructors needed for during the daytime, after school hours and weekend hours in the Northwest suburbs. Must have extensive experience teaching music or music background and need to send a 1-3 minute video recording of you performing to be evaluated. Please send current resume and application to sarah@iachievelearning.com. Clarinet Instructors needed for during the daytime, after school hours and weekend hours in the Northwest suburbs. Must have extensive experience teaching music or music background and need to send a 1-3 minute video recording of you performing to be evaluated. Please send current resume and application to sarah@iachievelearning.com. Drum Instructors needed for during the daytime, after school hours and weekend hours in the Northwest suburbs. Must have extensive experience teaching music or music background and need to send a 1-3 minute video recording of you performing to be evaluated. Please send current resume and application to sarah@iachievelearning.com. Flute Instructors needed for during the daytime, after school hours and weekend hours in the Northwest suburbs. Must have extensive experience teaching music or music background and need to send a 1-3 minute video recording of you performing to be evaluated. Please send current resume and application to sarah@iachievelearning.com. Guitar Instructors needed for during the daytime, after school hours and weekend hours in the Northwest suburbs. Must have extensive experience teaching music or music background and need to send a 1-3 minute video recording of you performing to be evaluated. Please send current resume and application to sarah@iachievelearning.com. 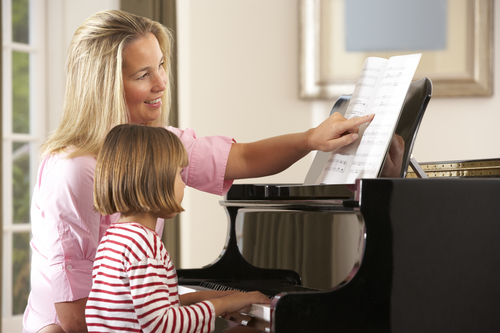 Piano Instructors needed for during the daytime, after school hours and weekend hours in the Northwest suburbs. Must have extensive experience teaching music or music background and need to send a 1-3 minute video recording of you performing to be evaluated. Please send current resume and application to sarah@iachievelearning.com. Saxophone Instructors needed for during the daytime, after school hours and weekend hours in the Northwest suburbs. Must have extensive experience teaching music or music background and need to send a 1-3 minute video recording of you performing to be evaluated. Please send current resume and application to sarah@iachievelearning.com. Trumpet Instructors needed for during the daytime, after school hours and weekend hours in the Northwest suburbs. Must have extensive experience teaching music or music background and need to send a 1-3 minute video recording of you performing to be evaluated. Please send current resume and application to sarah@iachievelearning.com. Violin Instructors needed for during the daytime, after school hours and weekend hours in the Northwest suburbs. Must have extensive experience teaching music or music background and need to send a 1-3 minute video recording of you performing to be evaluated. Please send current resume and application to sarah@iachievelearning.com. Voice Instructors needed for during the daytime, after school hours and weekend hours in the Northwest suburbs. Must have extensive experience teaching music or music background and need to send a 1-3 minute video recording of you performing to be evaluated. Please send current resume and application to sarah@iachievelearning.com. Psychologist needed for psycho-educational testing. This would be part-time during the day and weekends. You must have testing materials and a Doctorate degree required. Please send current resume and application to sarah@iachievelearning.com. Instructors needed to design and deliver professional development programs to school staff on an as needed basis. Part-time positions with primarily day time hours. Masters degree or higher required (education or related field preferred). 1+ years teaching and/or tutoring experience required. Please send current resume and application to sarah@iachievelearning.com.